Supporting unit growth in the Journey to Excellence criteria: JTE measures performance characteristics that unlock the door to a successful unit. We should analyze the unit’s program and identify JTE areas where help is needed to move the unit to a higher level of JTE success. Linking district committee resources to the unit: We should support the district committee’s delivery of a “catalog of services” to support the specific JTE elements needed for a particular unit’s health and success. COMMISSIONER TRAINING! Commissioner training is ongoing and we have many opportunities for our commissioners to be trained. Basic Training – can be conducted by a District and hosted with classroom approach for our commissioner staffs. NOTE: Once Basic Trained as a Commissioner, please continue to seek training and support! Our best source of ongoing local training for commissioners is our Lincoln Heritage Council Commissioner College! More info and links for our LHC College can be found below. Create an account if you haven’t already! Once logged in you will see the BSA LEARNING CENTER on the right hand side of the home page. 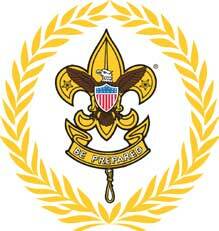 The BSA LEARNING CENTER has information and training for all volunteer leaders (Cubs, Boy Scouts, and Venturing). Once you click on the BSA LEARNING CENTER you can view all of the trainings offered through the course catalog tab at the top of the page. Your familiarity with this site will prove very useful when supporting our various Scouting programs and leaders. For example, Cub Scout Basic Leader Training is found here and a Cub Scout leader can be considered Basic Leader Trained from taking the appropriate courses online! Also, this is the spot to go for Youth Protection Training! Our goal is to not only recruit Commissioners to support our Scouting program, but to train and support the best way we can. We believe if we do this we can recruit, retain and build a sustainable support system for our Scouting programs throughout our Council!